CINCINNATI, OH - Union Institute & University is recognizing National Hispanic Heritage Month September 15 – October 15, 2018 by highlighting the university’s commitment to diversity. For example, Guillermina Hernandez is an early childhood expert who teaches in the Child & Adolescent Development (CHAD). She was born in Mexico and immigrated to the United States at age three. Read more about Guillermina and her passion for teaching adult learners here. Union Institute & University is committed to providing diversity among its academic world and in the world at large. Learn more about Union’s mission by clicking here. 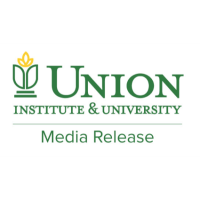 For more information about Union Institute & University, visit www.myunion.edu or call 1- 800-861-6400.